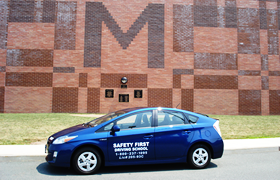 We've been the leaders in New Jersey driving safety since 1992. 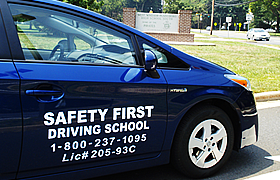 We offer a wide variety of on the road, and off the road courses & classes. Get information on schools closest to you that we cover. Try out our free sample practice tests. Track, and Compare your scores for free. Safety First has been on the web for over 20 years. Technology is moving forward and we are proud to say we have partnered up with CHOP DAWG STUDIOS to power our new and improved website. Our customers have made our web site the number one most sought after website for taking practice exams for state written tests. 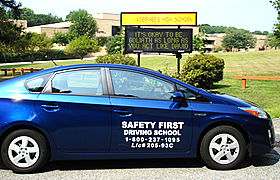 Passing your states written test is required to get a driver's permit and a driver's license. Why spend gas money and embarrass yourself going to a Motor Vehicle Agency just to fail their test. Our tests are comprised of 50 questions pulled out of a database of hundreds. Each test is different and your test results are given immediately. Test scores are logged in our secure database so you can review your previous scores and mark your progress. After successfully passing our practice exams you can go to a Motor Vehicle with a sense of confidence and leave with a feeling of accomplishment. 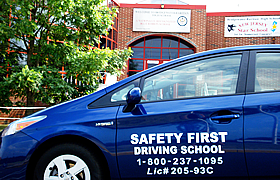 Safety First Driving School is always here to help. We have a fully staffed office Mon - Fri 9am to 5pm. You can also email us anytime to answer any additional questions you may have. Spend some time and check out what we have to offer. Take advantage of our completely free practice exam, choosing a driving school checklist, and our all-new video section. So what are you waiting for? Time to get that license.